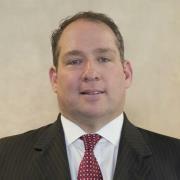 Shane is a Senior Partner with The Belleair Group at Morgan Stanley. Shane and his team deliver a high touch service model to a select group of high net worth families that fall into three categories: endowments and family foundations, entrepreneurs/business owners, and individuals that have a concentrated position in a public company. 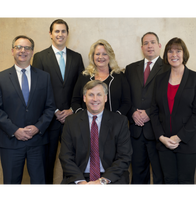 The team advises clients on matters such as risk mitigation, portfolio management strategies, cash flow analysis, business succession planning, and trust and estate planning. Shane draws on his nearly two decades of experience with respect to management of equities, fixed-income, alternatives, and liability management. He coordinates with client’s attorneys and accountants to ensure they are on track to meet their personal financial goals as well as their family’s multi-generational legacy goals. Shane is an alumnus of the University of South Florida with a degree in Chemistry and holds additional certifications from the Wharton School of Business. 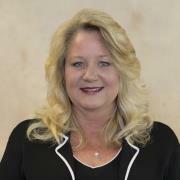 Shane is a member of the Pinellas County Estate Planning Council and Florida Institute of CPAs. Shane is a prior fundraising chair for Rotary International and St Jude's Hospital. Shane and his wife Molly are also sponsors of All Children’s Hospital and work as Court Appointed Special Advocates (CASA) on behalf of abused and neglected children. Shane grew up in Clearwater and lives in Sarasota with his wife, Molly and their three children. As a partner for The Belleair Group at Morgan Stanley, Chris is responsible for developing, presenting, and implementing financial plans that provide clients with utmost care. He finds the most rewarding part of planning to be when clients achieve the goals they have set in previous years, or even decades. Chris is a graduate of The University of Central Florida and holds his Bachelor of Science in Business Administration with a concentration in Finance. 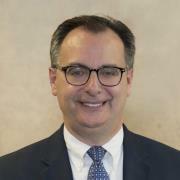 He began his career in the financial services industry at Ameriprise in 2005 where he earned the Chartered Retirement Planning Counselor™ (CRPC®) designation. Chris has been a partner with The Belleair Group at Morgan Stanley for over 10 years and holds the CERTIFIED FINANCIAL PLANNER™ (CFP®) certification, the standard of excellence for personal financial planning. Chris is an active member in the Sports Car Club of America and enjoys spending his free time building and racing F2000 cars. He is a Florida native, born and raised in Miami. Today, Chris resides in St. Petersburg, FL with his wife, Ally, and their one year old daughter, Emma. Their family spends most weekends enjoying Tampa Bay by boat. 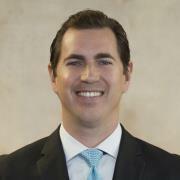 Michael Kindt joins The Belleair Group with his passion for financial planning solutions. Mike, formerly a partner in a national CPA firm, now non-practicing, brings 32 years of tax planning experience to Morgan Stanley. He acquired his Certified Financial Planner designation in 2003 to meet his clients’ financial and investment tax planning needs. Today, Mike pairs his CFP education with his experience as a former CPA to analyze a client’s financial condition and provide proactive planning solutions. Mike finds that a client’s financial picture can be scattered between various organizations, entities, and multiple account types. He enjoys taking this financial chaos and using his experience to identify creative and proactive solutions to form an organized, efficient, and purposeful financial plan that meets the client’s specific objectives. Mike is a Florida native and holds a B.A. degree in Accounting from The University of South Florida. He serves as a Board Member of Charity Works, Inc., a non-profit that aids charitable organizations in acquiring and managing their funding resources efficiently. He is a member of the American Institute of CPAs (AICPA) and the Florida Institute of CPAs. Mike and his wife of 31 years, Gina, reside in New Port Richey. They enjoy spending time with their 3 grown children and first grandchild. Ready to start a conversation? Contact The Belleair Group today.